Addressing wasting and dysfunction of the multifidus muscle. The multifidus muscle has garnered increased attention over the years as an important contributor to low back pain because it has been shown to atrophy following LBP. Although symptoms may improve, multifidus wasting persists, leading to the premise that recurring low back pain may be due to this lumbar stabilizer. Treatments directed at normalizing its level of function have been formulated to effectively address low back pain. This has led to an increasing amount of “spinal stabilization” training programs to address multifidus muscle dysfunctions. Related 3ish min video explanation of Why Discs hurt. Way to Go Dr. Snell at FixYourOwnBack.com! Related 3 min video animation: How HERNIATED DISCS AND RUPTURED DISCS Heal. However, not all “recommended” exercises have proven to be effective. Let’s explore the latest research findings regarding the role of the multifidus muscle in chronic recurrent low back pain, as well as the value of spinal manipulation and exercise programs you can easily integrate within your practice. There are many theories on why some patients experience these episodes while others don’t. One area of thought is the possible loss of normal motor control of the deep muscle fibres in the lumbar spine. The study assessed whether the control of the deep muscles (multifidus) differed between the normal population and those with unilateral recurrent low back pain. EMG onset of the muscles occurred later in participants with recurrent low back pain than in normal individuals. Since the multifidus muscle is a stabilizer of the spine, any delay in muscle firing may lead to abnormal biomechanics. If there is a delay in muscle activation, the question arises on whether this is present when unpredictable loading is applied, considering this type of loading is a common injury mechanism for low back pain. Now that we know the effects of low back pain on multifidus function and structure, how do we go about treating it? Various rehabilitation exercises exist, ranging from low tech to state-of-the-art equipment. We provide the latest research findings into rehabilitation of the multifidus muscle. Utilizing these key principles and findings should help you refine and modify your rehabilitation plan. Although we talk specifically about rehabilitation exercises, one should never forget the importance of spinal manipulation in the care of the patient. Initial exercises should include specific motor control training. Therefore, specific motor training is an effective way to begin a rehabilitation program for someone who may not be able to tolerate more aggressive exercises. Most clinicians progress the patient to different floor exercises, such as the plank, the bird dog, back extension, back bridge, curl-up and side bridge. Therefore, upper-extremity isometric exercises can be incorporated into a rehabilitation program prior to lumbar extension exercises, allowing for optimal progression of exercises based on muscle activation and difficulty level. high intensity: Prone lumbar extension to end range with resistance applied. For example, during a plank exercise, progression to lifting of the extremities may be too difficult for the patient. Instead, simply incorporate an unstable surface (rocker board, wobble board, etc.) into the plank exercise to further enhance trunk muscle activity. Although performing a back extension exercise on a gym ball was no different than performing on a mat for a healthy, young population, the use of a ball produces less spinal loading stresses and may be used in rehabilitation to reduce the potential for re-injury. Therefore, using a gym ball may be more a factor of decreasing spinal loads rather than providing a more challenging exercise. These findings support the view that initiating vibration exercise in the early stages of rehabilitation may provide an effective stimulus to offset wasting. This is an effective “early adoption” to exercise in the rehabilitation setting. All of the above considerations will allow for proper progression of exercises for patients with chronic recurrent back pain. However, one study that examined the effects of three different exercise strategies on inducing multifidus muscle hypertrophy18 found that general stabilization and dynamic intensive lumbar resistance training had no significant effect on cross sectional area of the multifidus muscle. The most critical part of the program was the static holding component between the concentric and eccentric phase of a dynamic resistance program. Therefore, integration of a static holding component to a stabilization and dynamic strengthening program may be the most effective consideration to prevent multifidus hypertrophy. The importance of the multifidus muscle cannot be overstated. In addition to traditional chiropractic care, adding an effective rehabilitation program will allow the clinician to address a muscle that is increasingly shown to be a contributing factor in recurrent low back pain. MacDonald D, et al. Why do some patients keep hurting their back? Evidence of ongoing back muscle dysfunction during remission from recurrent back pain. Pain, 2009 Apr;142(3):183-8. MacDonald D, et al. People with recurrent low back pain respond differently to trunk loading despite remission from symptoms. Spine, 2010 Apr 1;35(7):818-24. Hyun JK, Lee JY, Lee SJ, Jeon JY. Asymmetric atrophy of multifidus muscle in patients with unilateral lumbosacral radiculopathy. Spine, 2007 Oct 1: 2(21):E598-602. Ploumis A, et al. Ipsilateral atrophy of paraspinal and psoas muscle in unilateral back pain patients with monosegmental degenerative disc disease. Br J Radiol, 2010 Nov 16. Belavy DL, et al. Muscle atrophy and changes in spinal morphology: is the lumbar spine vulnerable after prolonged bed rest? Spine, 2010 Jun 30. Freeman MD, et al. 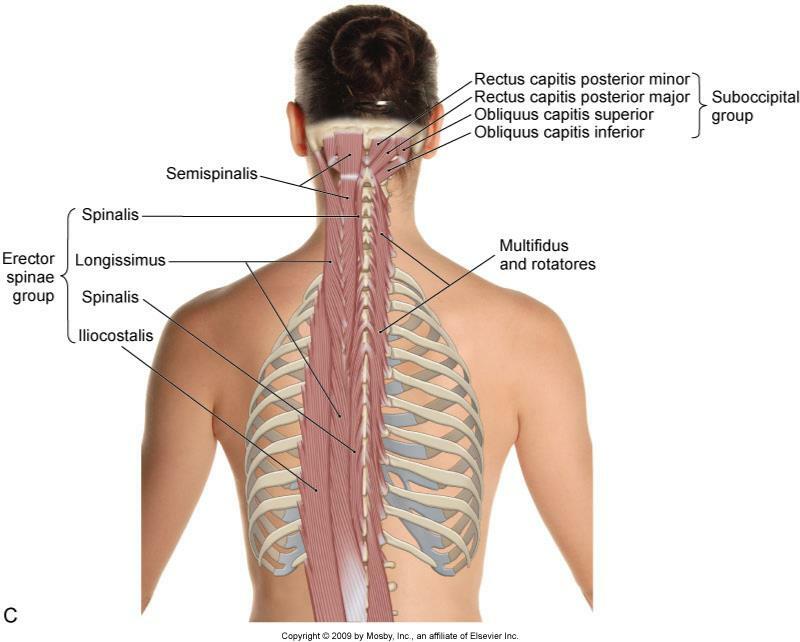 The role of the lumbar multifidus in chronic low back pain: a review. PM&R, 2010 Feb;2(2):142-6. Brenner AK, et al. Improved activation of lumbar multifidus following spinal manipulation: a case report applying rehabilitative ultrasound imaging. J Orthop Sports Phy Ther, 2007 Oct;37(10):613-9. Tunnell J. Needle EMG Response of lumbar multifidus to manipulation in the presence of clinical instability. J Man Manip Ther, 2009;17(1):E19-24. Hides JA, et al. The effects of rehabilitation on the muscles of the trunk following prolonged bed rest. Eur Spine J, 2010 Jul 1. Okubo Y, et al. Electromyographic analysis of transversus abdominus and lumbar multifidus using wire electrodes during lumbar stabilization exercises. J Orthop Sports Phys Ther, 2010 Nov;40(11):743-50. Tarnanen SP, et al. Effect of isometric upper-extremity exercises on the activation of core stabilizing muscles. Arch Phys Med Rehabil, 2008 Mar;89(3):513-21. Ekstrom RA. Surface electromyographic analysis of the low back muscles during rehabilitation exercises. J Orthop Sports Phys Ther, 2008 Dec;38(12):736-45. Imai, et al. Trunk muscle activity during lumbar stabilization exercises on both a stable and unstable surface. J Orthop Sports Phys Ther, 2010 Jun;40(6):369-75. Drake JD, et al. Do exercise balls provide a training advantage for trunk extensor exercises? A biomechanical evaluation. J Manip Physiol Therap, 2006 Jun;29(5):354-62. Belavy DL, et al. Countermeasures against lumbar spine deconditioning in prolonged bed rest: resistive exercise with and without whole body vibration. J Appl Physiol, 2010 Dec;109(6):1801-11. Choi G, et al. The effect of early isolated lumbar extension exercise program for patients with herniated disc undergoing lumbar discectomy. Neurosurgery, 2005 Oct;57(4):764-72. San Juan JG, et al. Effects of pelvic stabilization on lumbar muscle activity during dynamic exercise. J Strength Cond Res, 2005 Nov;19(4):903-7. Danneels LA, et al. Effects of three different training modalities on the cross sectional area of the lumbar multifidus muscle in patients with chronic low back pain. Br J Sports Med, 2001;35:186-191.